Thing Thing Arena Classic was the next Internet based game I explored, Its a 2d arena shooting game where you face waves of enemies. The game is purely score based and there is no end game, you just see how long you can survive getting a score in the process by killing enemies, the quicker you get kills improves the combo meter and gives you bonus score. Before you start playing you get a few options to chose, the arena you are fighting in, the two weapons you have, character name and look and what types of enemies you are fighting. There are quite a lot of different combinations you can have which gives the game re-playability. Once you’ve picked all that you can start a game, to control the character you use WASD or the arrow keys, the on screen crosshair is controlled by the mouse and left click is to shoot. You can also reload with ‘R’ but you do reload automatically once you have used your clip and you change between your weapons with ‘E’. You can move and shoot very quickly which is good because it keeps the gameplay fast paced, Also If you lose health you can collect health boxes that are scattered around the arena so that you can keep going longer. Caillois categories it falls into are firstly Agon because you have leaderboards that you can compare stats against other players and try to beat your own scores. It also goes into Mimicry because you control a character that you can name and customize. I didn’t reach a state of flow whilst I was playing because arena shooters like this really aren’t my sort of games, I don’t think there is enough variation in the gameplay and gets repetitive. So I’d say I was in a state of boredom whilst playing and I didn’t play the game for too long. 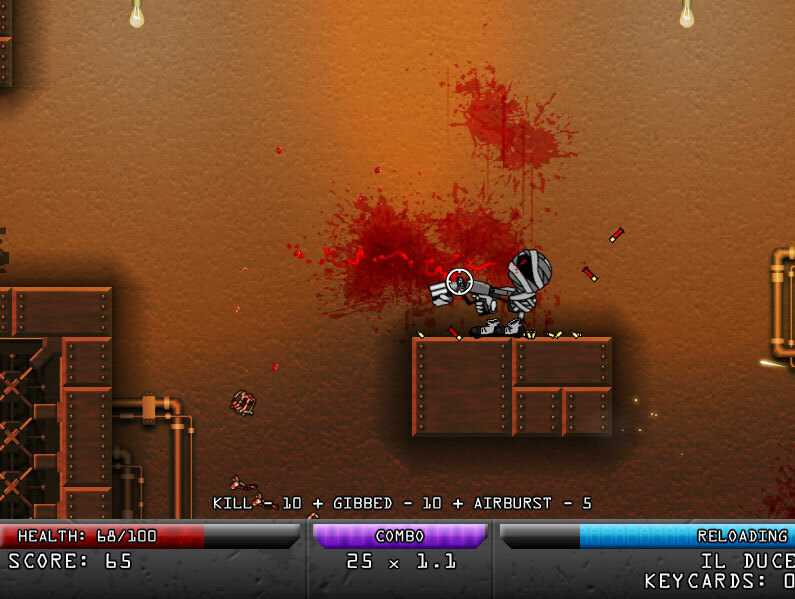 Boss 101 is a 2D boss fighting game and is a throwback to them classic boss battles where you have to avoid many different variations of attacks and then attack at the appropriate time. It reminds me of the boss battles in 2D sonic games and metal slug, This game only contains boss battles though and the aim is to kill 101 different bosses to save the world. There are nine sectors to fight in which are different cities and give the game different backdrops, when you go to level the boss is randomly generated and it has a level and bounty that you get for killing it. The bounty you get for defeating a boss can be spent on upgrades to things like damage, fire rate, health etc. 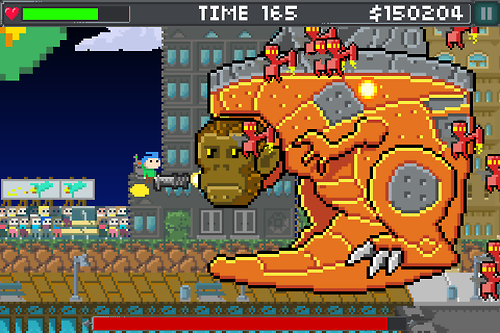 The cool aspect about boss 101 is that the bosses are all combinations of dinosaurs, animals, robots and aliens that are really good designs. The categories of games it falls into are Mimicry because you are playing as a character called Max who has been tasked with saving the world. Alea because the bosses are randomly generated and you could get and lucky and get easier bosses but this would level itself out if you completed the game. I wasn’t sure if this game fell into Agon really because there aren’t any leaderboards or multiplayer features but you are fighting against the game. I didn’t really achieve a state of flow during play, the game was fun at first but then it is just boss battle after boss battle with nothing to break it up and make it different. I’d probably say I was in a state of control on the flow diagram as I didn’t get really far into the game it wasn’t too challenging although I’m sure later levels would be much more difficult. ← Project Paragon, Building Contruction.